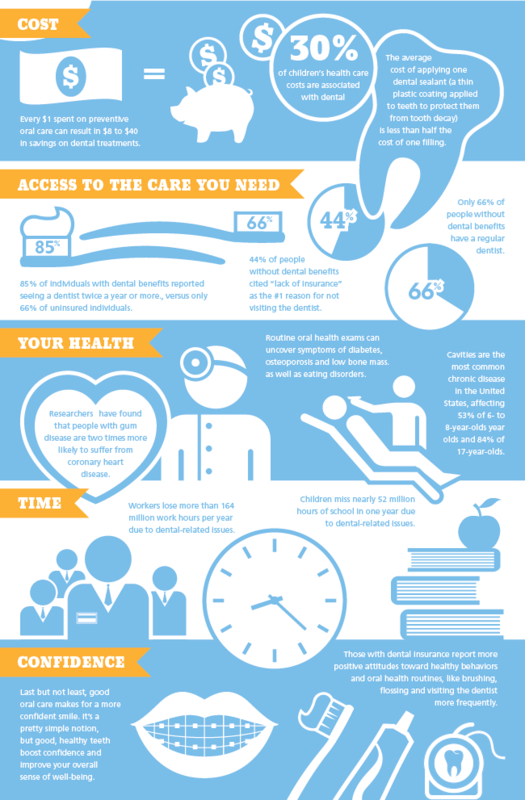 What strikes us most about this infographic is the statistic that for every $1 you spend in preventative oral care, you save $8 to $40 on the cost of dental treatments. One out of every three people who don’t have dental insurance don’t make regular visits to the dentist. Be confident in your smile and in yourself! Visit Benchmark Dental today!